The restless HTC has recently been branching out its smartphones, trying to fill market niches it feels are underserved, like female-oriented handsets, or phones with an enhanced audio experience. 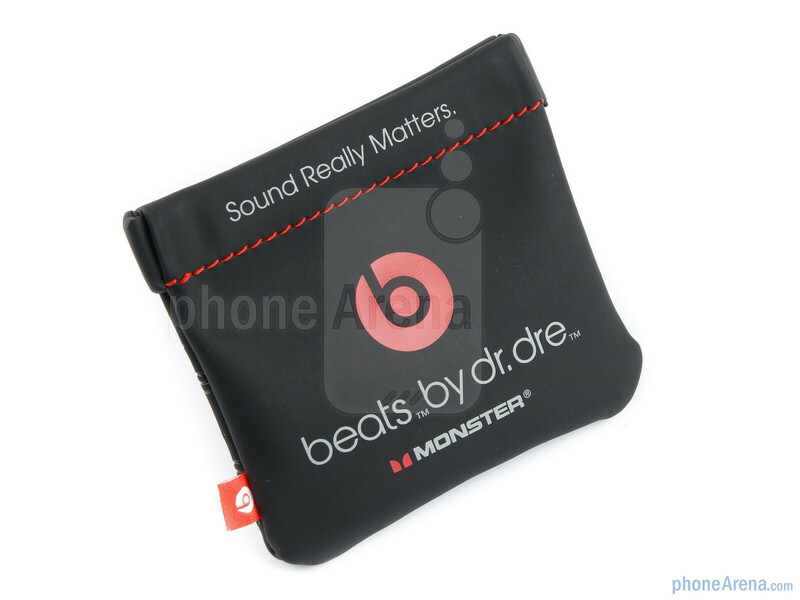 For the latter it entered into cooperation with Beats by Dr Dre, and decided to leverage the audio brand's know-how with the HTC Sensation XE, an upgrade to its flagship Android handset. We say upgrade since the HTC Sensation XE is the same phone with minor changes: new color scheme,the 3rd generation dual-core Qualcomm Snapdragon chipset is pumped to its maximum 1.5GHz, and a beefier battery compensates for that might. 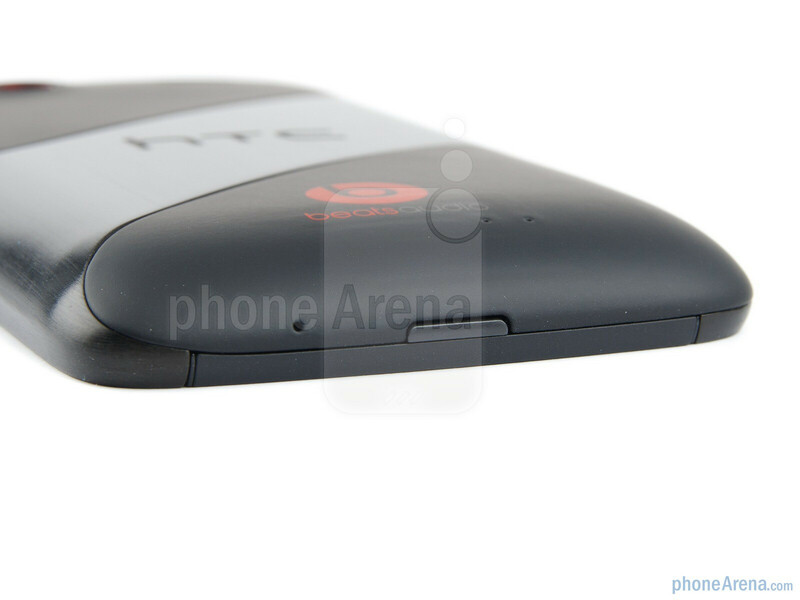 The HTC Sensation XE hasn't been announced for any US carrier and you can only get it SIM-free for now. 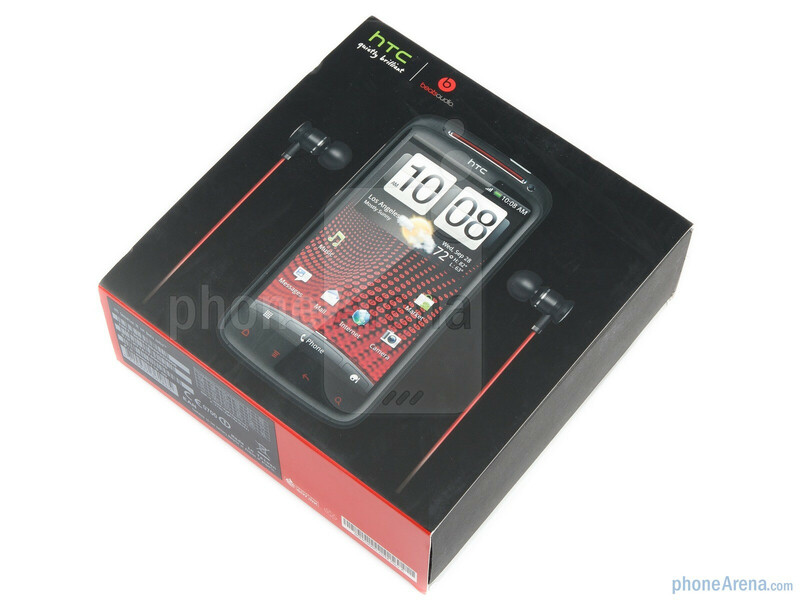 It's compatible with the AT&T network, and you can use it on T-Mobile without 3G connectivity. 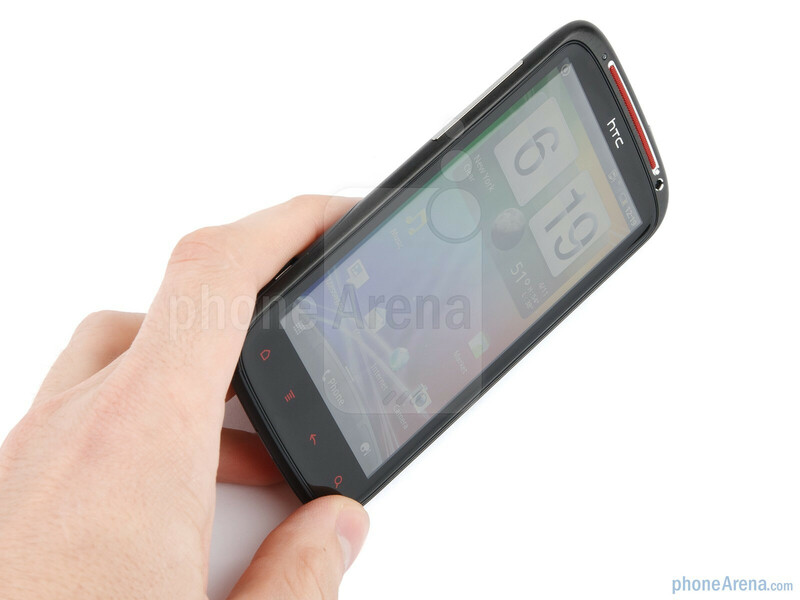 HTC brushed the Sensation XE with red accents to emphasize this is a different handset than the standard Sensation (4G). 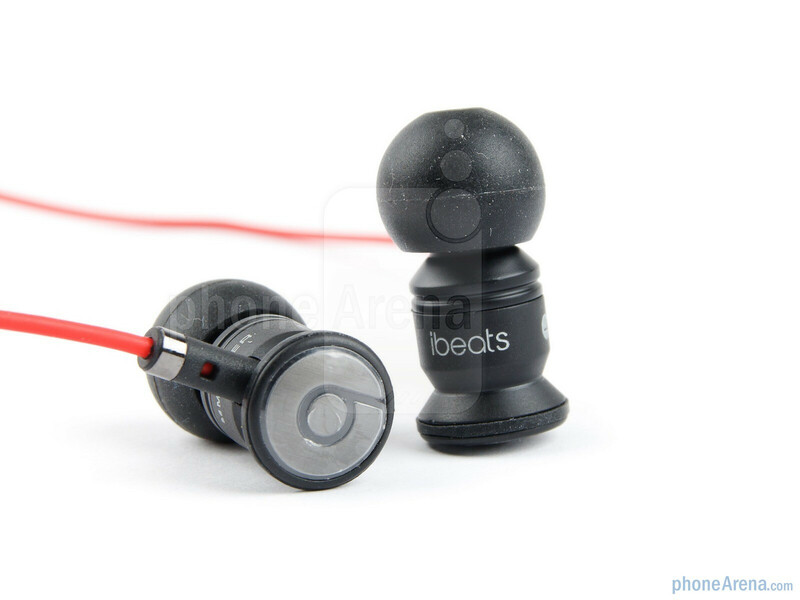 The earspeaker grill, the camera ring, and the capacitive buttons are all red, and so is the Beats Audio logo on the back, making the whole set appear cool and informal, what the Beats brand stands for. 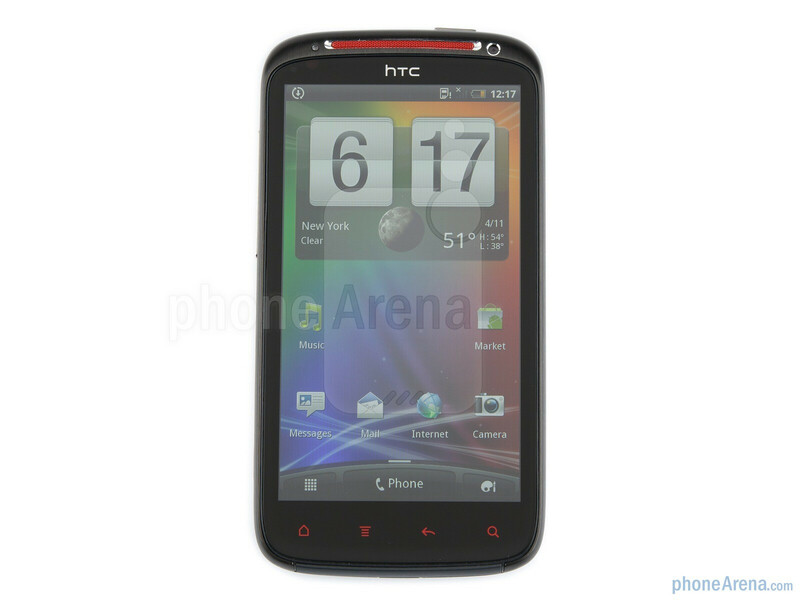 You can compare the HTC Sensation XE with many other phones using our Size Visualization Tool. The back is done in two pieces of excellent quality soft-touch plastic, separated diagonally by a brushed aluminum strip in mahogany. This metal strip is a part of the unibody aluminum chassis, with curved recessed glass over the 4.3” LCD display with 540x960 pixels of resolution, that protects it from scratching when facing down. 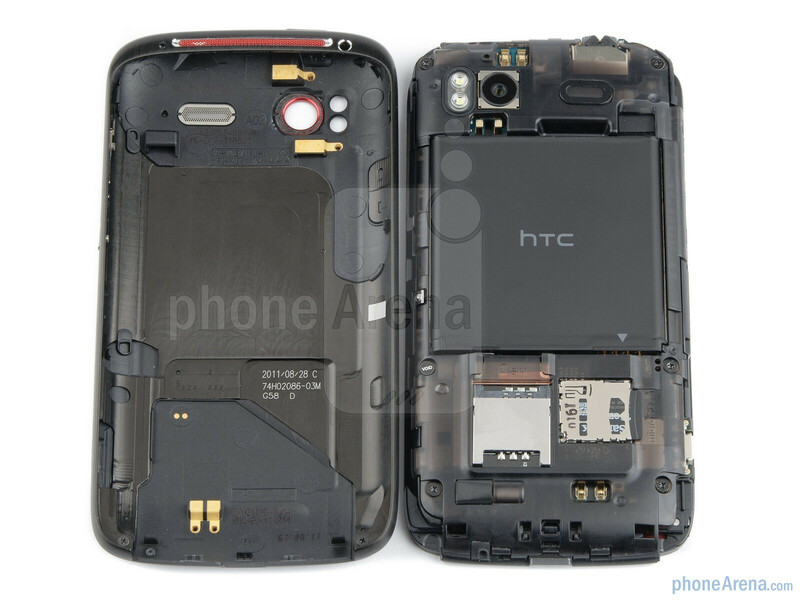 A typical HTC high-quality build. The screen is bright enough outside, with excellent viewing angles, and very good 256ppi pixel density, achieved with the traditional RGB matrix, as opposed to the PenTile arrangement of some Motorola qHD displays, for example. Text appears crisp and the colors are vivid. One advantage of the Super LCD tech of the screen is that it is usually very well calibrated and white appears almost spot on (~6500K), instead of cold blueish like on Super AMOLED displays. Well, let’s flip the phone over and see what we have on the back to set it apart in the audio department. 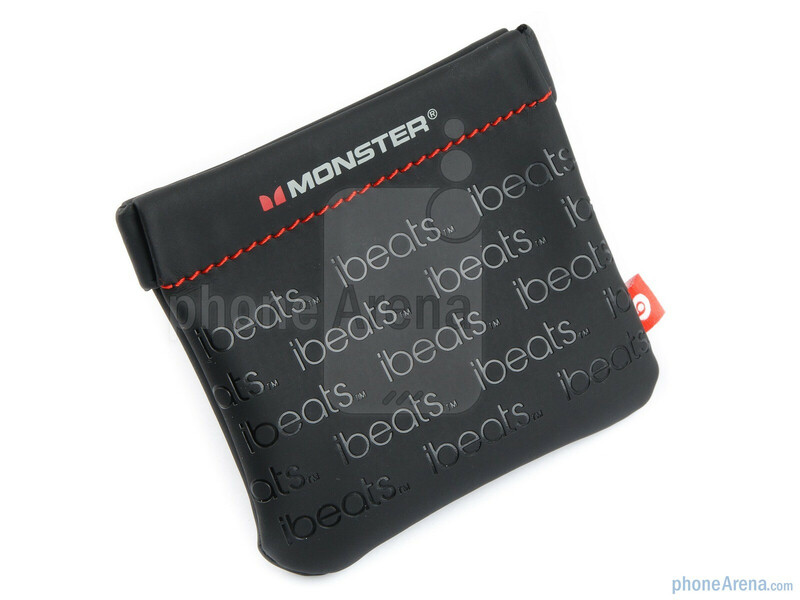 In short - nothing but the Beats logo. 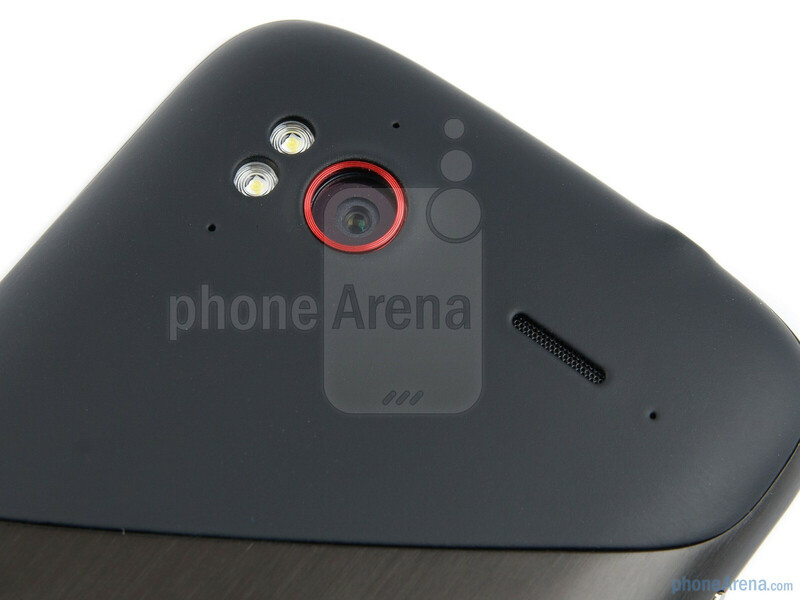 We have the same slightly protruding circular camera module of the 8MP shooter next to the speaker at the phone’s rear, and five dots piercing the soft-touch plastic, for various microphone and noise-cancellation purposes. Agreed! 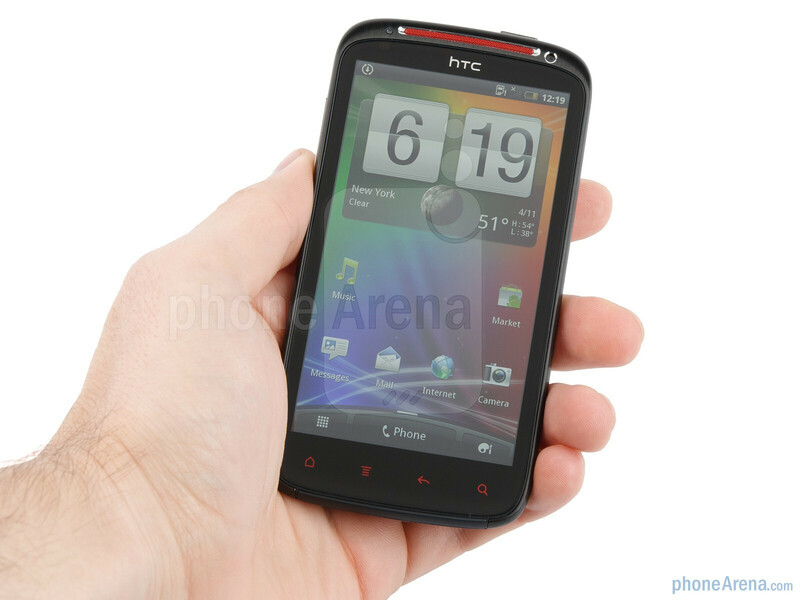 I love HTC's UI and fast processing speeds but HATE their screens. You can tell just from the pictures the colors don't come through very bright. I don't think I'd buy any of HTC's phones right now, I'm still waiting for a slimmer and brighter phone with their great UI and hardware. What kind of a conclusion is that? The HTC Sensation XE comes with a more powerful processor, bigger battery, and better speakers, yet you say that the only difference is the high quality earphones? Come on! overclocked processor, the bigger battery was put to compensate for the higher clock speeds which would give poor battery life on its previous capacity, better speakers; wouldn't know unless I tried them. 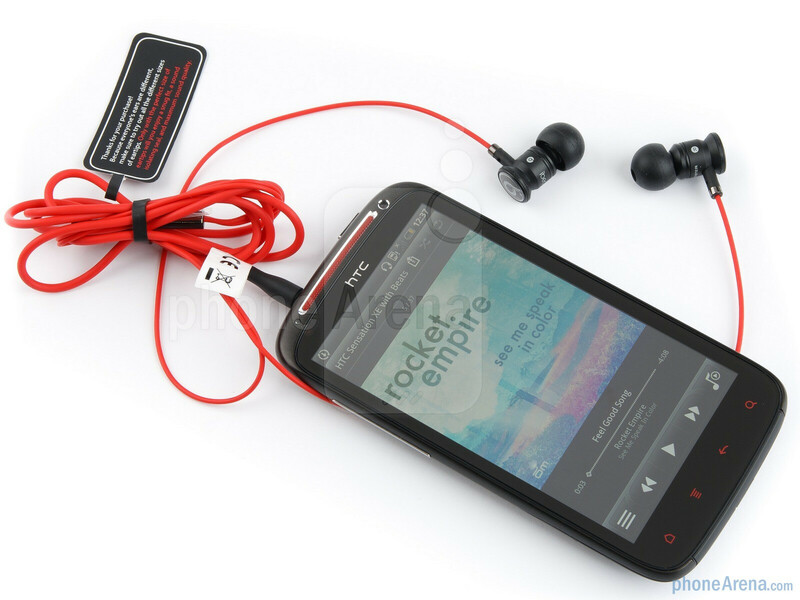 Hence the only difference is high quality earphones and better sound quality assuming the speakers are better. I might not like the iproducts much but I'll agree on one thing..they're one of the top tier companies when it comes to sound quality. Cons are stupid as hell. Phone on the other hands seems quite top notch. 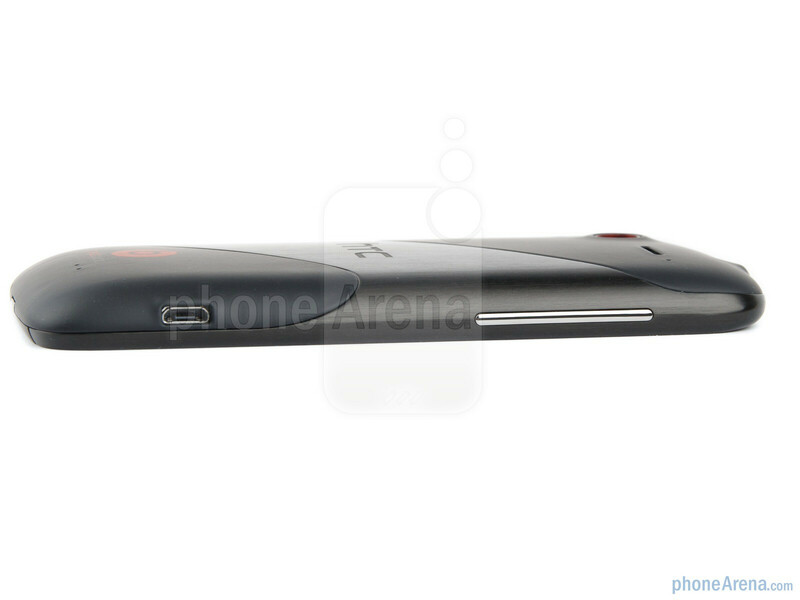 Couldn't they have put the 1730mAh battery in the Rezound too?? 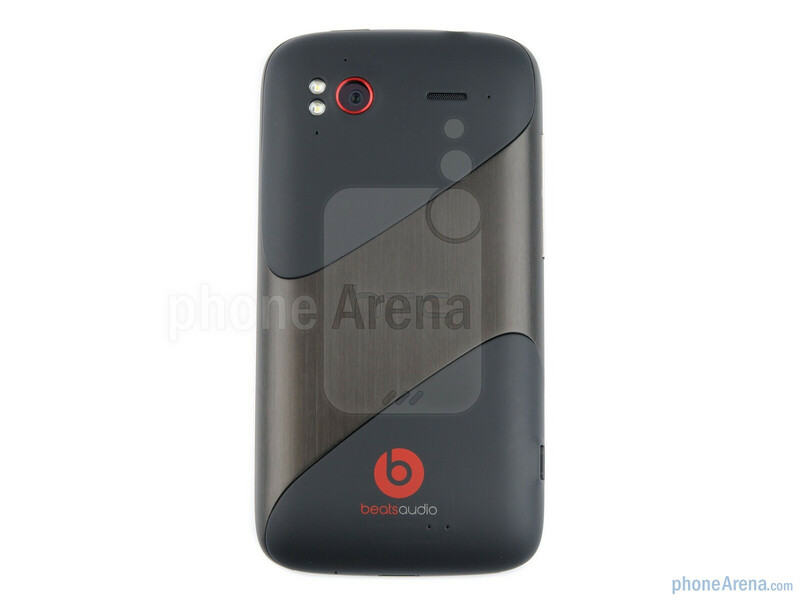 Beats audio or whatever this gimmick can be called was ported to other phones. 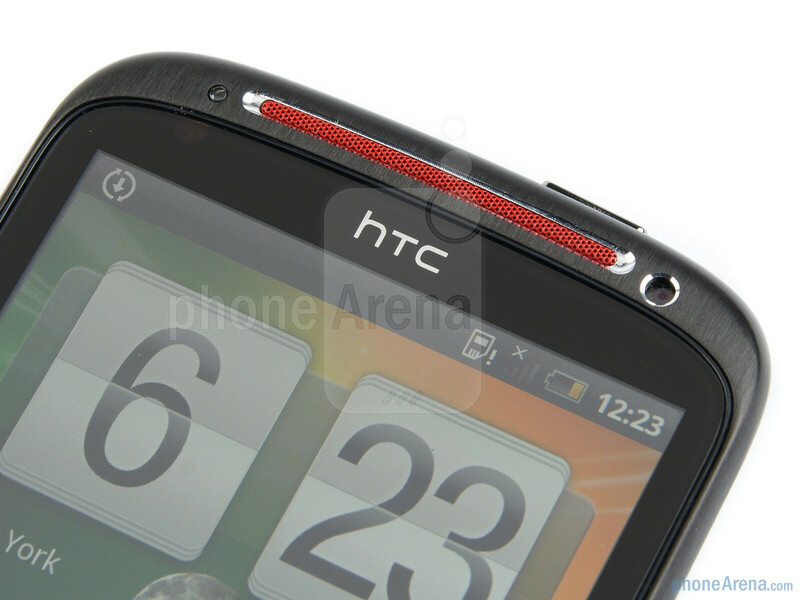 HTC made a bad decision. It's all about stupid software..they didn't use any new hardware for sound. jackhammeR... Do some research. This is not simply a software upgrade. "Ported to other phones"???? We should have a mute button for those people that spout stuff they have no knowledge of on PA. I mean really. 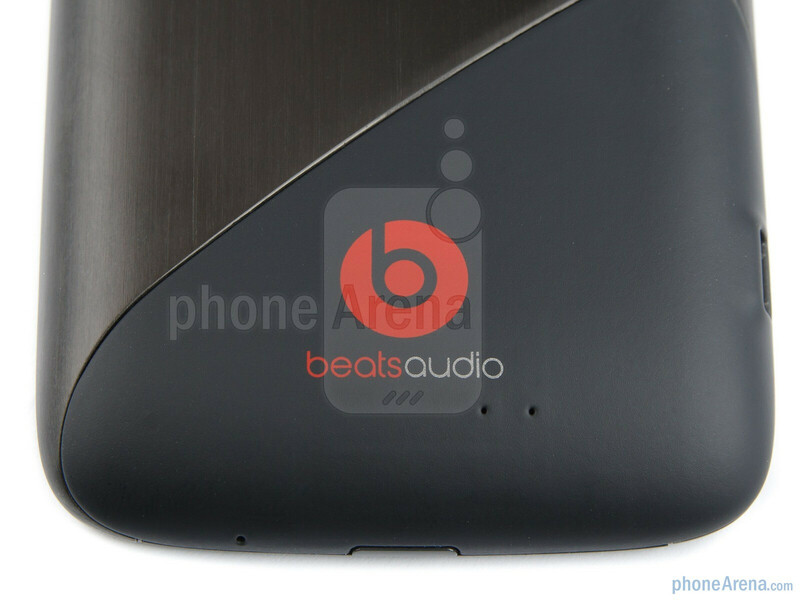 HTC paid hundreds of millions of dollars to purchase the beats company. Dr. Dre & Jimmy Iovine(Interscope Record's CEO) made $351 Million off the deal alone... So you basically think that all of this was for some software and earbuds??? You can't really be that slow... Can you??? The only person who should read is YOU. 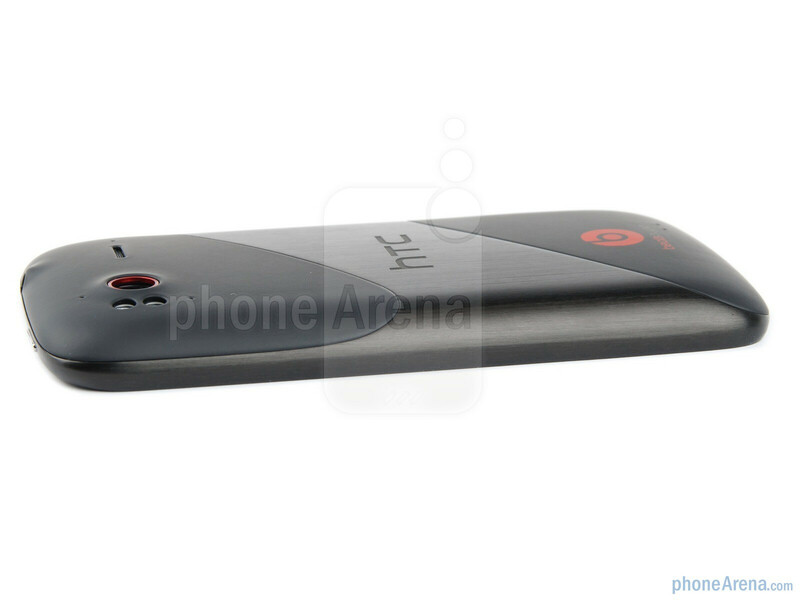 dre dre beats was ported to HTC HD 2 and I think desire as well. And it's only software matter. Yes, that was about software and earbuds...you know why? because dre dre is a trademark and is well known in music industry...which dosen't mean that is good or best. You know what marketing is boy, do you? The only slow dude here is you again. 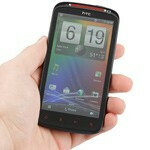 Hug your precious htc and try convince yourself it's something more than a phone. Get a life dude! For God's sake! Why the choosed 3gp as a contender in 1080p shooting?????????? This is nuts! Agreed. The galaxy s 2 is the phone to beat. the res. of gs2 is lower then sensations. 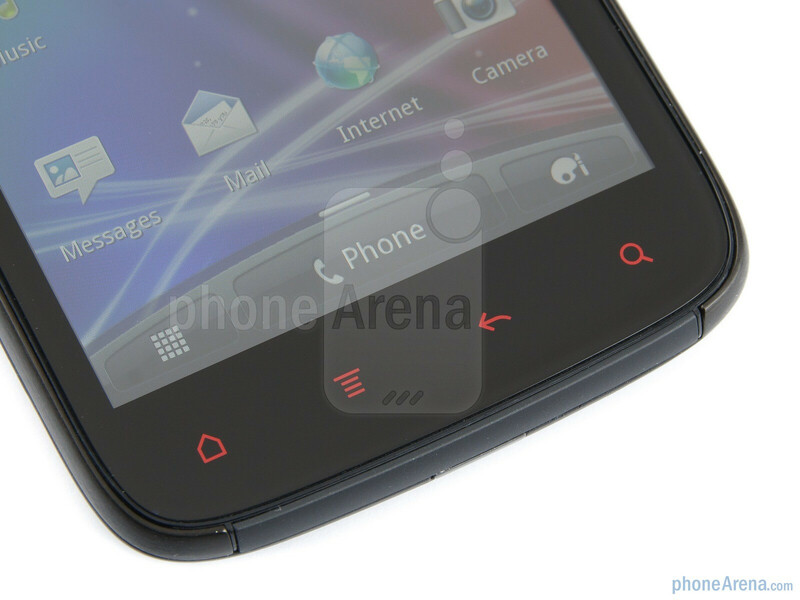 so, how in the world can you say that the screen on galaxy s 2 is better then on sensations. its almost like to compare a dvd rip movie and x264 or 720p movie. Super Amoled Plus(SGS2) VS S-LCD(Sensation XE), my friend. Not about the resolution. Technically Super Amoled Plus is better than S-LCD. That's just a fact. If you are happy with S-LCD, then it's fine, but don't be angry about the fact. Besides, S-LCD is identical to Samsung's Super Clear LCD since S-LCD is a joint venture of sony&samsung and samsung uses this display for their low-end phones. Well...SA in not a great deal for everyone. I don't see anything spectacular is Super Amoleds. I remember that colors in Galaxy S were very annoying. I got N8 with Amoled and I had for a while C6-01 with Amoled CBD. One thing I can say for sure is that black color is amazingly..well, black. And very readable under the sunlight. I don't like too much oversaturated colors. The new gen of SA+ can be adjusted but still, I don't think it's far more superior than Nokias amoled cbd (compare them and you will see). 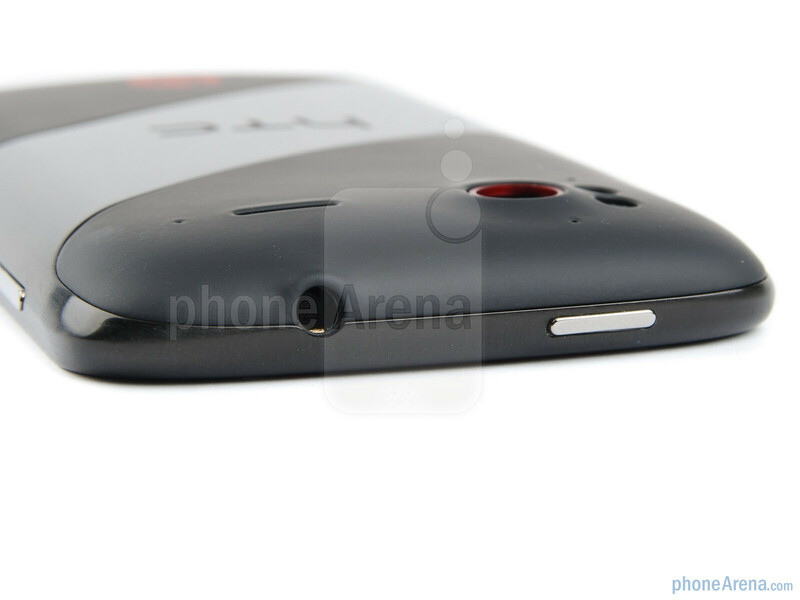 S II has lower resolution, despite of it's more than 4 inches. Still, it has more than enough pixel density to use it comfy in day-to-day usage. There is no such Amoled CBD. It's manufactured by Samsung which owns OLED market(90%), so yeah Amoled display is basically identical to Samsung Super Amoled. Bad rumors about oversaturated colors? I can you my friend, most of recent high-tech TVs from any manufacturers have oversaturated colors. We should be glad that Sammy provides $1000 TV screens for small handsets. Besides, yet again it applies to so-called Amoled CBS, since they are same products from same manufacturer, Samsung. SA+ is even better. Blowing away most of disadvantages of OLED and maximize the pros of OLED. I don't think 800x480 is a problem. Since, there aren't many photos and apps availalbe for 960 x 540 comparing to 800x480, which is already used for many laptops and netbooks. too bad it doesn't support FLAC. it's a music phone dammit!!! It look like Samsung display 4.3 S-AMOLED. What kind of a conclusion is that? More powerful battery, faster processor, improved audio and Technology Beats you say that the differences are minor whit sensation ...... tell lies!